We love creating our designs and making them for our customers! 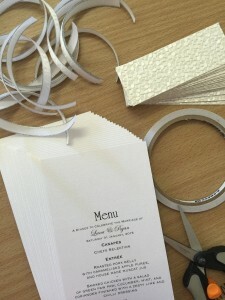 Simply choose the assembly option when you purchase online, or let us know when you order over the phone and we will be happy to fully assemble your invitations ready for you to post. All you will need to do is pop them in the envelopes. All our designs are created with love and care and we pride ourselves on our quality and attention to detail. Why not order a sample to see for yourself? Remember your sample is free if you decide to order with us!